Spring is officially here, and we’re so excited to see what changes and innovations this year will bring to the packaging industry. As 2019 swings into full gear, it’s a great time to explore this year’s packaging and marketing trends, if you haven’t done so already. As a product manufacturer, distributor or packaging machine manufacturer, acquiring and keeping customers requires you to keep your finger on the pulse of consumer wants and needs. Packaging is the first thing many customers see, so it’s essential for those in the business of packaging to remain in sync with today’s packaging trends. Let’s take a look at what companies are doing with their packaging this year, and how you can apply these principles to drive your sales, whether it be through products, packaging solutions, or machinery. Not too long ago, packaging was cluttered with lots of images, bullet point lists, and slogans shouted out in bold text in jagged, comic book style speech bubbles. In a pre-digital world, this made a lot of sense. People weren’t as distracted, and were willing to take the time to read everything on the box. Today, you only have an instant to grab your customers’ attention. Most people don’t look at everything on the shelf when they’re shopping. They scan, quickly searching for a specific product. They’re distracted by streaming music, text messages, and the fast pace of modern life. For businesses, the goal is to ultimately capture the attention of prospective customers to get them to take an interest in their brand or product. Consumers today are looking to cut through the clutter, they are gravitating to products with cleaner, simpler design, aligning the minimalist style with environmental awareness, and transparency. The challenge with minimalist design lies in creating a design that’s simple enough to grab someone’s attention while still giving them a good reason to look closer. The trend in simplistic packaging is making use of white space, using color carefully and effectively, and using creative fonts. Once your team has come up with a design, a quality packaging partner can help you turn your packaging dreams into reality. Whether you’re looking to purchase packaging machines for your business, or are looking for a packaging partner to support you, understanding your packaging design vision will help you find a partner that is right for you. Last year, the Flexible Packaging Association reported that in 2019, flexible packaging accounted for 19% of the packaging materials market in the U.S. There is no doubt that the popularity of flexible packaging will continue to have a positive outlook in 2019. Solid packaging, such as a box or bottle, can create a lot of extra costs for businesses. Let’s take an example from the beverage industry, a truckload of empty flexible packages can hold up to 35 times as many packages as a single truckload of empty bottles. As a result, flexible packaging can help businesses and consumers save on shipping costs, while also drastically reducing their carbon footprint. Designed to be easy to use, versatile, and more environmentally friendly, pouch packages have readily become a favorite among consumers. The sky’s the limit when it comes to uses for flexible packaging. They can be used for a variety of products, from juice to motor oil to sunflower seeds. No matter what industry you’re in, there’s a good chance you could reduce overhead by considering the use of flex packaging. 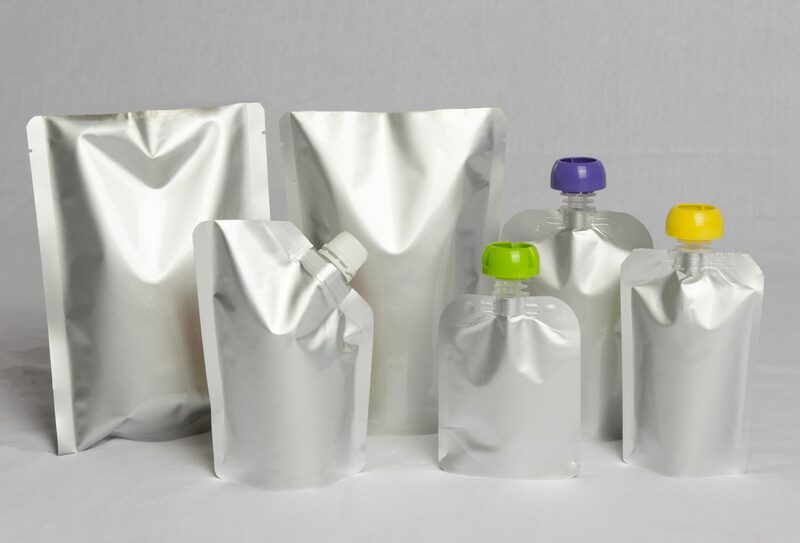 Karlville specializes in pouch packaging machine manufacturing with solution for every stage of the packaging process from converting to spouting, filling and sealing. If you’re considering an investment in pouch packaging machines, our guide to pouch packaging machines is a great place to get started. More than ever before, consumers are looking for environmentally-friendly choices when they shop. This is particularly true of millennials, who are more environmentally conscious than older generations. In fact, a recent study showed that 33% of consumers today are more likely to buy from a brand that’s environmentally conscious. These customers will appreciate pouch packaging, since they’ll see the results every time they take out the trash. Instead of a recycling bin full of bottles – almost none of which actually gets recycled – they’ll have a few small pouches in their trash bin. Biodegradable materials for packaging is also on the rise. Consumers will feel better about disposing of products without a hint of guilt, knowing that their morning smoothie isn’t filling up our landfills. By appealing to your customers’ preferred lifestyle, you can drive sales and make a positive impact on the environment. Green packaging is more than just good marketing. It typically weighs less than conventional packaging, and can even cost less. Karlville has offered green packaging machine solutions for years, and we’re continuing to expand our product line. Besides, protecting the environment is the right thing to do. Here are a few of the other benefits of green packaging. Reducing your carbon footprint. Not only will you sleep better at night knowing that your company is burning as little fossil fuel as possible, but in many countries, you’ll also be eligible for tax credits based on reduced emissions. Green is also healthy. Traditional plastic packaging can cause allergic reactions in some people. Worse, even BPA-free plastics can leach toxins into your product. Biodegradable, plant-based packaging is free of toxins, and is also hypoallergenic. That makes it a win for you, and a win for your customers. Reducing waste and energy use. Green packaging produces less solid waste than other types of packaging, since it typically degrades much faster. Not only that, but you’ll be able to reduce water and energy usage, since these packages typically require less processing. As you make plans for your product packing this year and the future, consider the trends and innovations making an impact on the packaging industry. Ultimately, the goal is to utilize the processes and packaging that will meet the individual requirements of your product and target consumer. If you’re interested in tackling your packaging needs in-house, contact us for more information about our wide range of packaging solutions.